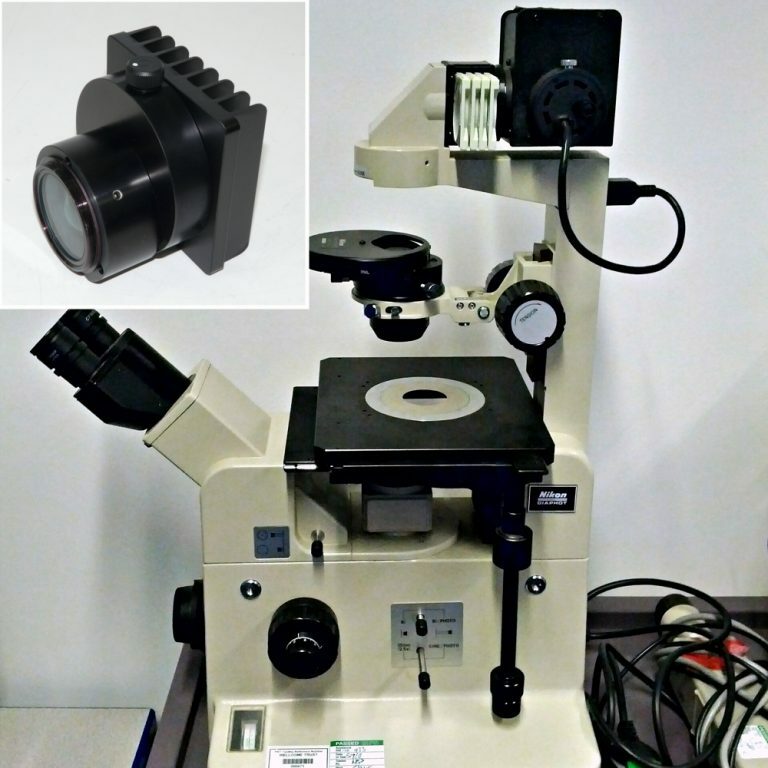 This LED microscope illuminator replaces the original Nikon Diaphot 300 50W illuminator. It provides a whiter, brighter light than the original, while using far less power. Bulb replacement and excessive heat are eliminated. 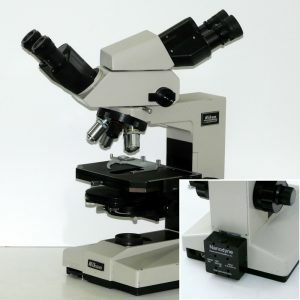 Don’t replace your high quality older microscope because of a bad illuminator. 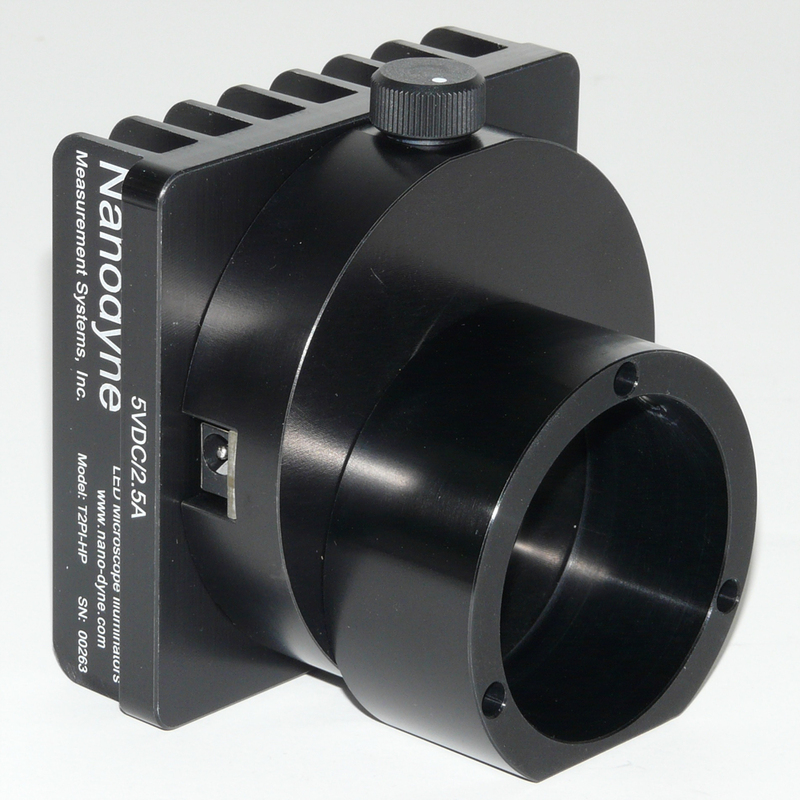 Replace your old Diaphot illuminator with a new Nanodyne LED system. 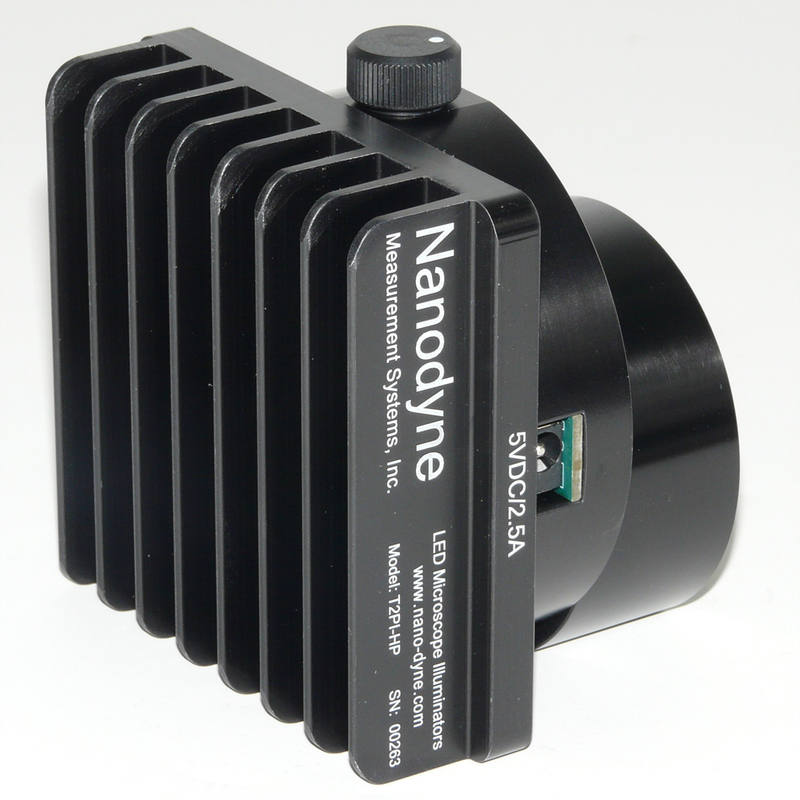 All Nanodyne illuminator systems include the power supply and required cables. Everything required for the illuminator is included. 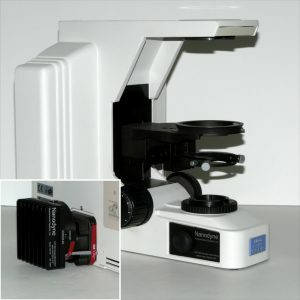 There are many different Diaphot microscope models and several different illuminators. The Diaphot 200 and 300 models may have either a 50 W or 100W halogen illuminator. 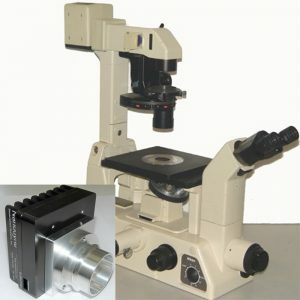 The original 50W illuminator (see above photo of microscope) has a black metal housing and attaches to a collector lens that screws into the microscope. The Nanodyne replacement for the Nikon Diaphot 300 50W illuminator mounts in the same way, but uses a special brass tip set screw to firmly hold the illuminator without damaging the collector lens. 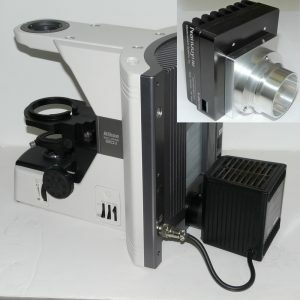 Nanodyne supplies the same replacement illuminator for the Diaphot 200 and 300 models. We supply a different illuminator for the models with a 100W halogen bulb. The 100W illuminators have a plastic housing that is larger than the 50W. It is usually white or cream colored, but can be black. To see our replacement for the 100W Diaphot 300 illuminator click here.